Attention all students: You can be the next J.K. Rowling! This is your chance to show off your writing skills, get published and win a cash scholarship. You do not have to be an advanced writer to take part. All you need is your imagination and Microsoft Word. Just think about how many words we use every day in conversations, texts and emails. This is an opportunity to use words in a creative and unique way. You may have some questions before you dive in, so here are the answers! What is the deadline and where/how do I submit my scholarship essay? All submissions are due by August 9, 2019 and must be delivered via email to solidessay(at)gmail.com as a Microsoft Word or Google Docs attachment. If you submit the scholarship essay in the body of the email, it will be disqualified. 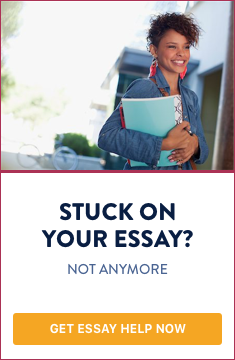 Be sure your full name and email address are typed at the top of the essay. Failure to do so will disqualify your entry. Any entries received after the due date will be disqualified. Minimum number of words is 600 and maximum is 800.
Who will review my scholarship essay submission? English teachers and editors will review each submission. We will redact your name before the essays are submitted to the judges so they can review each one anonymously. We have found this is the fairest way to review submissions. How many winners will be chosen and when will I find out if I'm one of them? Winners of SolidEssay Scholarship Essay Contest will be notified via email no later than August 18, 2019. Once the 3 winners are chosen, their names will be published on our website and on our social media channels. Plagiarism of any kind will result in immediate disqualification. We will use plagiarism checking software. Essays are to be written in English. You may choose only one of the topics below. If you want to include an image, you may do so, but your essay must still be between 600 and 800 words. Please be sure to give proper credit for any image or photograph that was not created or taken by you. If you were not the original creator of the image or photograph, and your essay was chosen as a winner, we will not be able to include it. TOPIC #1: In your opinion, what's the best type of sport to join and why? TOPIC #2: What movie have you recently watched that had a great impact on you and why? TOPIC #3: What book have you recently read that had a great impact on you and why? TOPIC #4: If you were a teacher what new subject would you teach and why? TOPIC #5: What foreign country do you plan/want to visit and why? Don't be discouraged if you are not selected as one of the three winners. You've made the leap and have written an essay and that's commendable. So have fun with this and good luck! By submitting your essay to SolidEssay.com, you give us permission to publish your work on our company's website, social media channels or use it in other marketing materials.